The two years at the campus would be a unique learning experience, the innovative program design and interactive academic delivery by experienced faculty. The PGPM Programme at IBS Business School, Ahmadabad prepares students to take up higher responsibility at the early stage of careers. The applied learning and practical application will transform the students into the leader to take up challenges of the corporate world. Institute accepts valid scores of IBSAT/ CMAT & GMAT entrance exams. Selection will be completely done on the merit basis and will be called for group discussion and personal interview. The institute has a state of art campus that is fully Wi-Fi enabled which includes learning halls, modern facilitated computer labs, web portal, library with more than 21000 books and many more for the students seeking admission here. 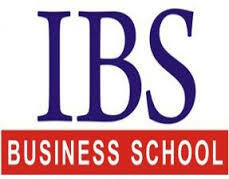 Are you Interested in IBS Ahmadabad.